A woman has been arrested on suspicion of murder after the body of a pensioner was found at a house in Devon. 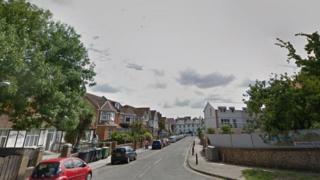 Police were called to Midvale Road, Paignton, at 12:36 GMT on Wednesday, where they found the body of a man in his 70s. Devon and Cornwall Police said a 40-year-old woman from Paignton had been arrested and was in police custody. A police cordon is in place at the address and the emergency services remain at the scene. The force said the man's next of kin had not yet been informed and asked for anyone with information to come forward.